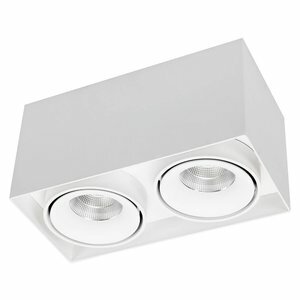 2-light LED surface mounted luminaire in white. The built-in LED chip is 2 x 9 watt and gives a nice warm light 2700 kelvin and has a beam of 38 degrees. 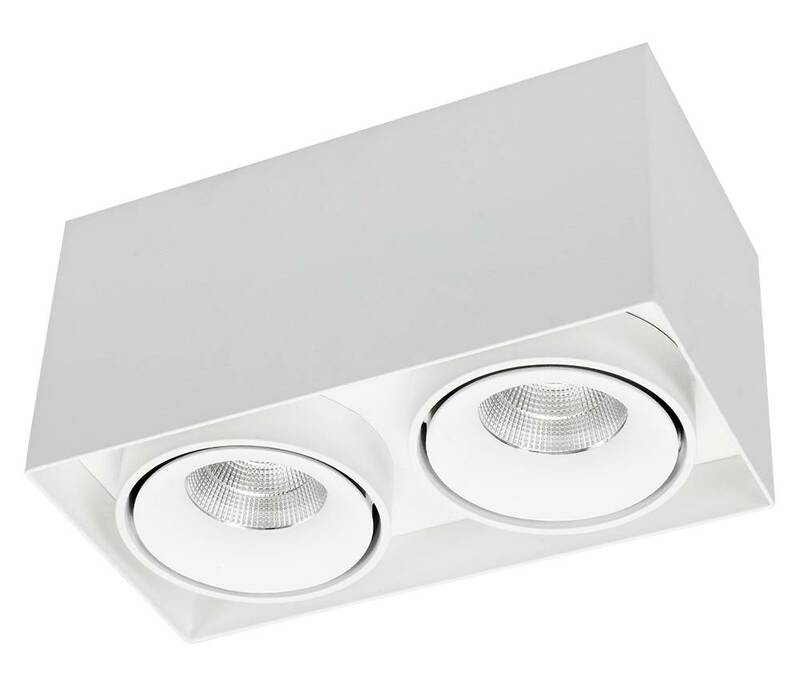 This fixture is dimmable with a tronic or led dimmer.